In order to increase the SSL Certificates’ Security, the ones who regulate the SSL industry often reevaluate and update the rules for applying and owning an SSL Certificate. According to the Certificate Authorities (CA) and Browser Forum’s Requirements, SSL Certificates validity will no loger surpass 39 months period starting with April 1st, 2015. The Certificate Authorities Browser Forum is one of the central parts of the SSL Certificates Industry which includes the Certificate Authorities, the Companies owning the Internet Browsers and the Application Software Suppliers. This new rule implies that all certificates issued from July 1st, 2012, continue to have an SSL Certificates validity of maximum 60 months. 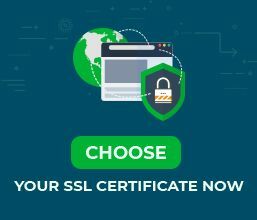 Starting with April 1st, 2015, the validity period will be reduced, and the validity period of all new SSL Certificates will be less than 39 months. What does it mean for our customer? The SSL Certificates issued after April 1st, 2015 have the validity period of 39 months. This means a maximum validity period of 3 years (36 months), plus 3 months to renew the SSL Certificate. The Extended Validation SSL Certificates validity remains at a maximum of 27 months. The requirement will improve the security of Security Socket Layer and Transport Layer Security by making the security updates more efficient. But how? A reduced period of validity will ver much increase the security of an SSL Certificate by requiring the SSL certificate owners to renew their SSL Certificates more often. SSl Certificates will expire quicker, and this creates the need of getting a new SSL Certificate. Of course, every year the SSL Certificates will come more and more securely, and by making website owners get up-to-date SSL Certificates, the Certificate Authorities try to make the web safer. Also, it leads to making SSL Certificate owners to keep themselves up-to-date on new security improvements and, it ensures that older SSl Certificates’ vulnerabilities become known and solvable. In this way, Certificate Authorities can replace the SSL Certificates faster, eliminating the long cycle that is needed for improvement. 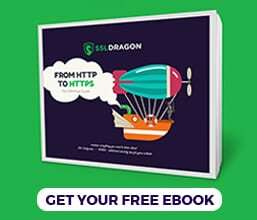 DragonSSL.com offers a large set of tools to help you manage your SSL Certificates. Our SSL Certificate experts can help you understand what SSL Certificate would suit your security needs best. Also we are here to guide you and help you renew your expiring SSL Certificates anytime you need. We offer SSL Certificates issued by the following Certificate Authorities: Verisign / Symantec, Comodo, Thawte, Geotrust, and RapidSSL. Contact us and find out what SSL solution is the best for your website and business. You can choose from our wide range of SSL Certificate here.